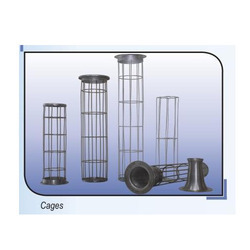 We are a leading Manufacturer of cages & venturies for d.c. bags, dust cartridge and dust collection pleated cartridge from Navi Mumbai, India. Leveraging on our vast experience in this domain, we are actively engaged in offering supreme quality Cages and Venturies for D G Bags. 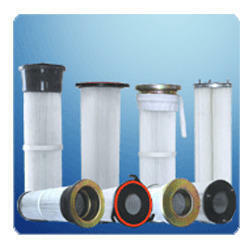 The provided product is available in different sizes and specifications to meet the diverse requirements of our clients. They are fabricated using high-grade raw material and utilizing advanced technology under the supervision of adroit professionals. They are made in accordance with the industrial standards and are pre-tested on various parameters to ensure their durability. We are counted among the most distinguished organizations engaged in providing qualitative range of Dust Cartridges. These cartridges are designed to efficiently clean dust that can be potentially hazardous to human health. The offered product is designed using optimum quality material using ultra-modern technology which is in accordance with the industry laid guidelines. It is available in various specifications and can be further customized according to the needs of the clients. Moreover, customers can avail this at market leading price. With the aid of our skilled and talented professionals, our firm is actively involved in offering the best quality Dust Collection Pleated Cartridge. The offered polyester media is made using high tenacity filament yarn without using any binding agent that provides stability against hot gases. It is widely known for its attributes like efficiency, reliability, and durability. These cartridges are fabricated using top-notch components and modern techniques to cater to the diversified requirements of our esteemed clients. Media : Spun Bonded Polyster with PTFE & aluminium (Antistatic) coating.